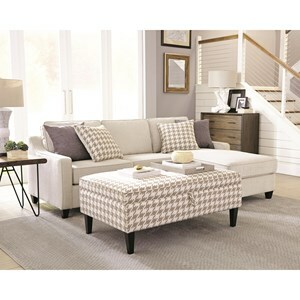 A relaxed modern look makes this sofa sectional an ideal piece to update the look of your living room. 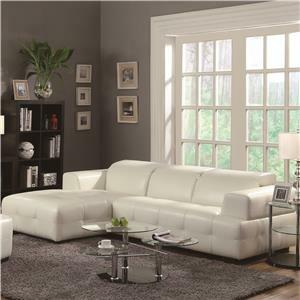 The chaise lounge is the perfect space to lay down for a quick nap on a Saturday or lounge while reading a book after a stressful day of work. 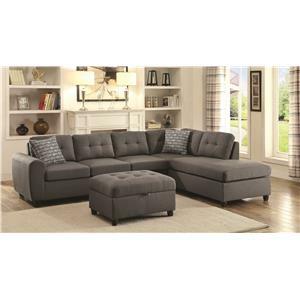 This sectional offers an impressive amount of seating space making it perfect for a get-together or movie nights with friends and family. 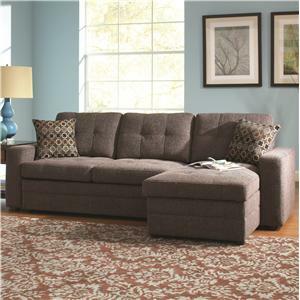 The abundance of different pillows included with this group create an alluring style touch, while also adding a some extra comfort to this piece. 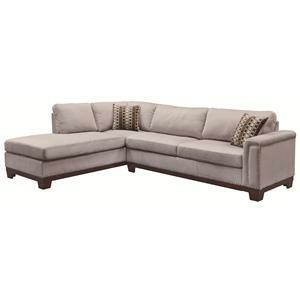 The Roan Contemporary Sofa Sectional with Left Facing Chaise Lounge by Klaussner at Value City Furniture in the New Jersey, NJ, Staten Island, Hoboken area. Product availability may vary. Contact us for the most current availability on this product. 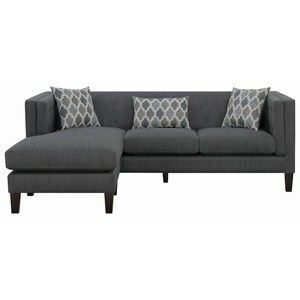 KD37800L CHASE Left Arm Facing One Arm Chaise Lounge 1 48" 72" 34"
KD37800 ALS Armless Loveseat 1 81" 45" 34"
KD37800R C Right Arm Facing One Arm Chair 1 48" 45" 34"
KD37800 CORN Corner 1 45" 45" 34"
KD37800 AC Armless Chair 1 40" 45" 34"
Padding & Ergonomics Down Blend Cushion. 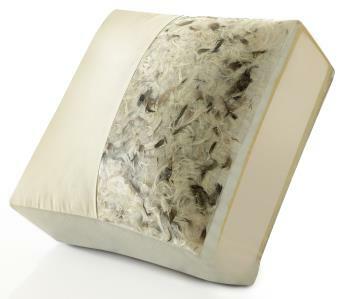 High resiliency foam cushion made partly from BIOH Polyols. 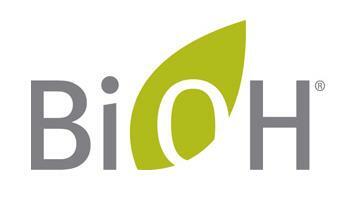 BIOH is a soy-based ingredient that replaces part of the petroleum in your cushion for a greener, more sustainable foam. 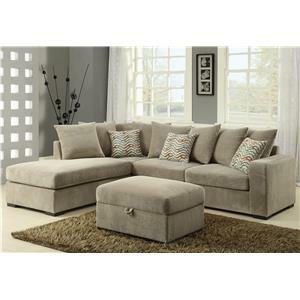 A relaxed modern design makes this sectional group the perfect selection to update the look and comfort of your home. 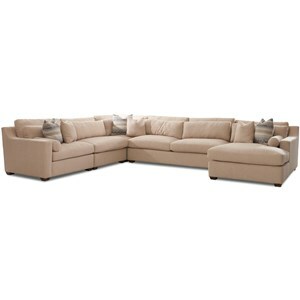 The Roan collection is a great option if you are looking for Contemporary furniture in the New Jersey, NJ, Staten Island, Hoboken area. 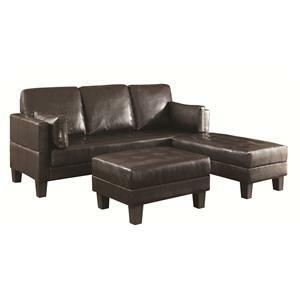 Browse other items in the Roan collection from Value City Furniture in the New Jersey, NJ, Staten Island, Hoboken area.